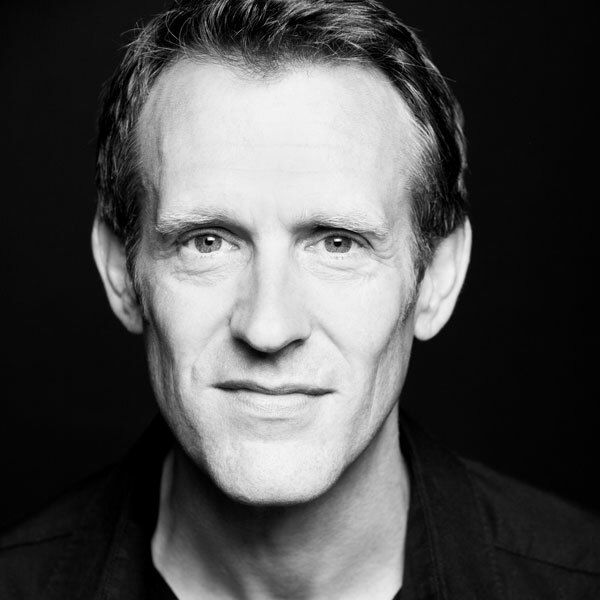 Matthew has been an actor for longer than he likes to think about…highlights of his career include Royal Shakespeare Company, Royal National Theatre, West End, International tours and award winning TV and Film…which all sounds very grand but basically means that he barely gets to live in his own home and his own daughter won’t let him in the house without ID. The most resounding memory from his West End career hits him in the knees every day when he remembers the two years bouncing up and down as a hyena in The Lion King on a steel stage…resulting in a walking like a giraffe on ice for the first half hour of every morning, probably for the rest of his life! Of course the joy of these jobs is also remembered and the image of sitting in the middle of a field on a summer’s day with Alan Bennett, Nigel Hawthorne and Helen Mirren having a cup of tea before bundling Nigel into a straight jacket and carrying him around for the rest of the day is one never to be forgotten…especially as he got to witness and be a part of an Oscar nominated performance and an Oscar winning film (The Madness Of King George) Audio books are where Matthew hopes he has found a home. The wonderful responsibility of reading books to so many people around the world, of taking an author’s words and giving them another form, another life…is a true joy. His favourite time with a book so far was reading The Enduring Melody by Michael Mayne…an account of the life and terminal decline, through illness, of a man he grew to respect and love…what an honour…to give breath to his words.